Some people have a strange idea of fun. For me it’s all about staying up for over 24 hours to spend the night on a Mountain watching and photographing the stars. The clear skies and new moon last night called for a bit of a star party! 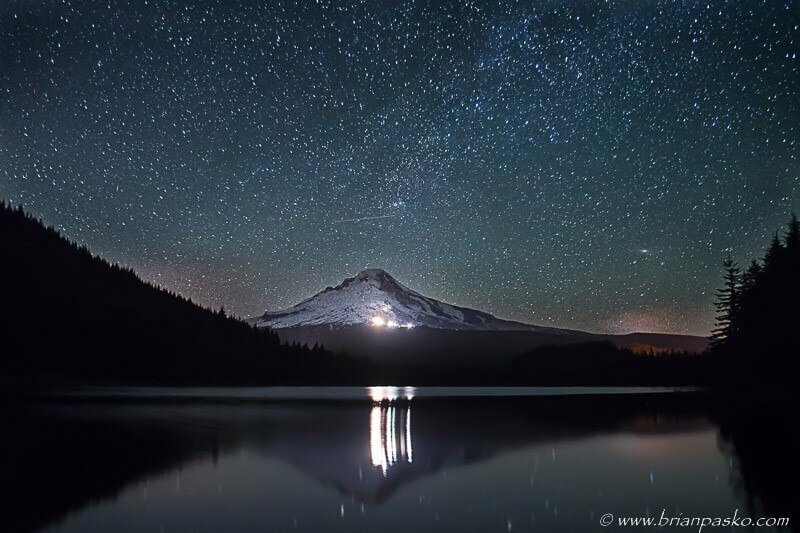 Here’s the night sky over Mount Hood and Trillium Lake. (Click on the image to see a larger version).